THE ARTISTERY AND THE BIZ PRESENT: RE-NEW YEAR’S PROM! Have a great time on New Year’s Eve? Let’s do it again! Was yours lame? Redeem it! 32 and still having trouble getting into the prom? Creeps will be asked to leave. Not kidding. FREE!, but a $3 Optional Contribution Includes a Prom Photo! Champagne Count Downs Every Hour On The Hour Until Midnight! 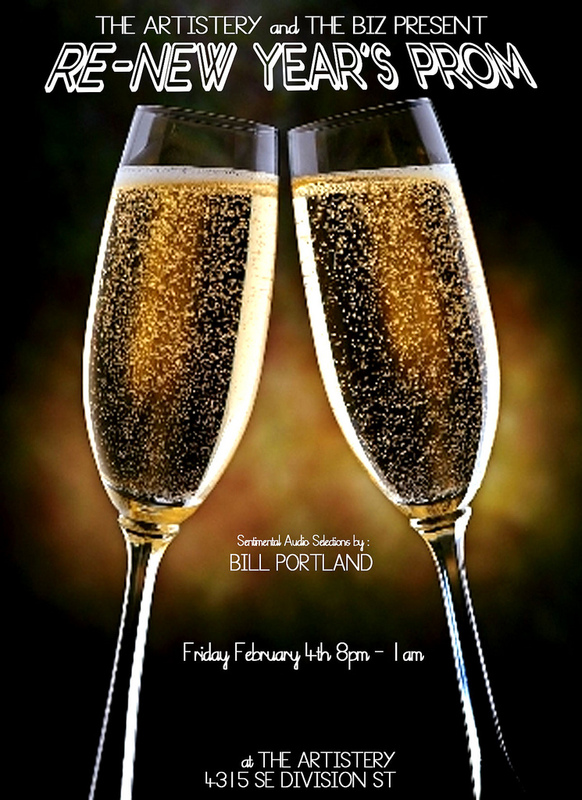 Sentimental Selections by DJ Bill Portland!